An eclectic array of speakers will gather for TEDxDanubia in the iconic Mupa building on May 4. The theme of this year’s event is “Alone or Together?”, a question with increasing relevance in the 21st century. The theme is inspired by our everyday reality and will address a major contradiction of our times: despite being more connected than ever before, many of us are more isolated and alone than ever. Are we alone or together? As the 21st century unfolds, the question’s relevance only continues to grow. The TED (Technology, Entertainment and Design) brand has thousands of “talks” on YouTube addressing a broad range of topics, from the news industry and biotech to politics and “selfies”. Launched in 1984, the idea behind TED was to create a nonprofit that would spread ideas through conferences, and the “talks” have evolved over time, with high-profile figures such as Bill Clinton and Bill Gates speaking. TED has become something of a phenomenon, inspiring locally organised spinoff TEDx events covering all four corners of the globe. 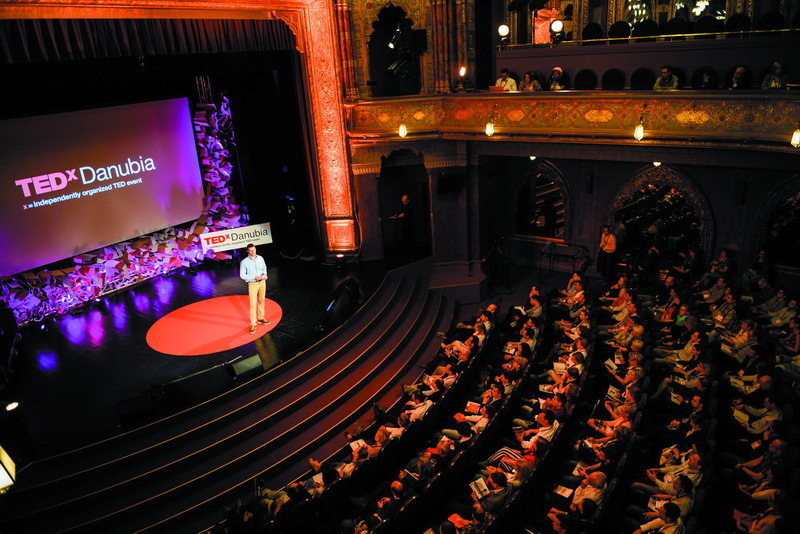 Budapest, a city with an ever-increasing reputation for its startup culture and dynamism, jumped on the TEDx bandwagon in 2010, and this year’s event will be the city’s seventh. Scientists, artists and entrepreneurs will address the audience in both English and Hungarian, covering science, arts and business topics. Local speakers will take part, such as biotechnologist and sustainable energy enthusiast István Kenyeres, whose research and development team addresses the challenges posed by urbanisation, global warming and water crises, attempting to reuse organic matter and waste in densely populated urban areas. German doctor and author Giulia Enders will discuss the importance of knowing our bodies, as she dives into the internal workings of our gut. Enders is the bestselling author of “Gut: The Inside Story of Our Body’s Most Underrated Organ”, and a veteran on the public-speaking circuit. Her talks have gained millions of hits on YouTube. Gingger Shankar, world-famous singer, violinist and composer, the only female in the world to play the 10-string double violin, will perform. Sticking to the theme of “Alone or Together?”, the event will address collaborative business models and collective networks. The TEDxDanubia Conference on Technology, Entertainment and Design will be held in the Mupa building in Ferencváros on May 4.